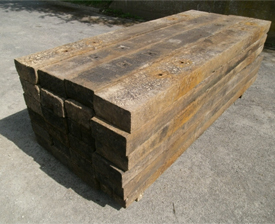 The best quality reclaimed railway sleepers around. Delivery available throughout the North– see the delivery page for a quote to your area. You can order online or contact sales on 01937 843736 if you prefer. Customers are advised that used railway sleepers are not suitable for indoors or in children's play areas and that gloves should be worn when handling.